Application:Wing walk areas to eliminate damage from foot traffic, top areas of aircraft and on leading edges. Used for Tedlar ® interior protection in ceiling areas, overhead storage compartments and for exterior skin protection where heavy duty protection is required. Used to protect graphite composite surfaces from impact damage that could result in interlayer fracturing. 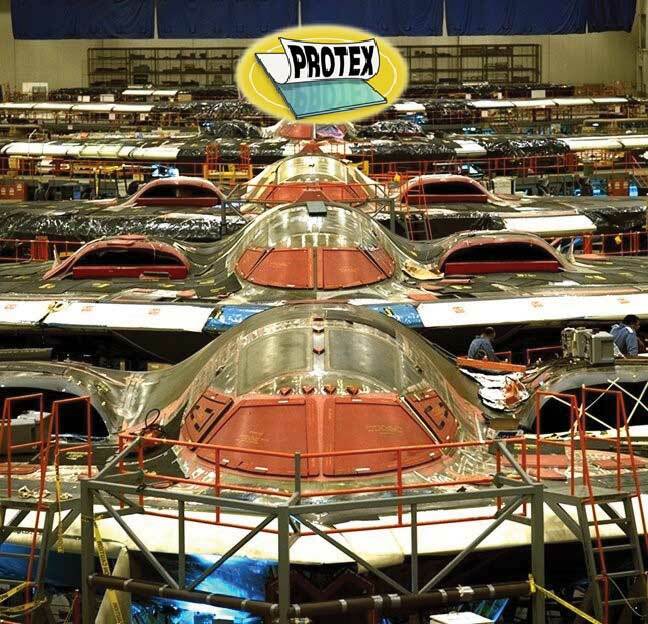 PROTEX 20S may also be used for movie studio backdrops, cover-ups, and painting of sets. It can withstand 60 pounds of sandblasting pressure for decorative applications, i.e. glass etching and light blasting on wood.Liner allows the product to be die-cut if desired.